High value, direct contracts from leading advantage carriers are available through NAAIP, a Medicare advantage IMO. 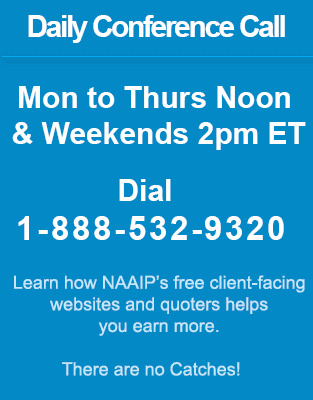 We at NAAIP are focused on providing our agents with the means to satisfy clients. With us you not only enjoy the comfort of contracting with a leading IMO in Medicare, but a partner who will assist you and help your business grow. Coventry Health Care is a well-respected member of the insurance-provider network with strong principles that are reflected in the company's continued success. Established in 1986 when the Coventry Corporation was incorporated, it has gathered strength through multiple acquisitions and now sits comfortably among the heavy-hitters of the insurance industry. With experience of over five decades in the health insurance industry, Humana enjoys the accolade of being among the Fortune 100 companies. The company has earned this ranking by consistently offering excellent wellness programs, valuable benefits and acclaimed customer service.